Born in Beirut, Lebanon in 1967, as a child Tankian moved to Los Angeles, where he attended Pilibos Armenian High School with other SOAD band members Daron Malakian and Shavo Odadjian. Since the group’s formation in 1994, four SOAD albums have debuted at number one on “Billboard 200” and the band has been nominated for four Grammy Awards, winning “Best Hard Rock Performance” for their song “B.Y.O.B” in 2006. 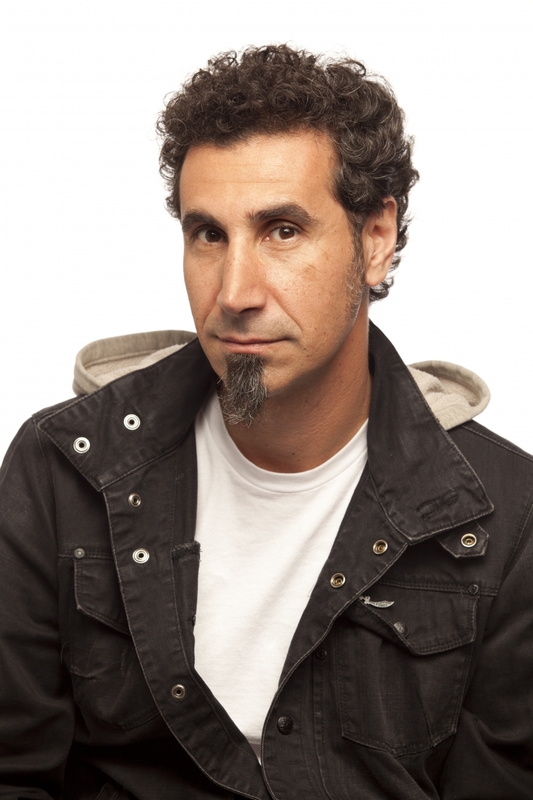 Over the course of his musical career Tankian released five albums with System of a Down, a collaborative album with Arto Tunçboyacıyan titled “Serart,” as well as five solo albums: “Elect the Dead” (2007), “Elect the Dead Symphony” (2010), “Imperfect Harmonies” (2010), “Harakiri” (2012) and “Orca Symphony No. 1” (2012). Tankian also founded the music label Serjical Strike Records in 2001, which has released over 15 albums so far. 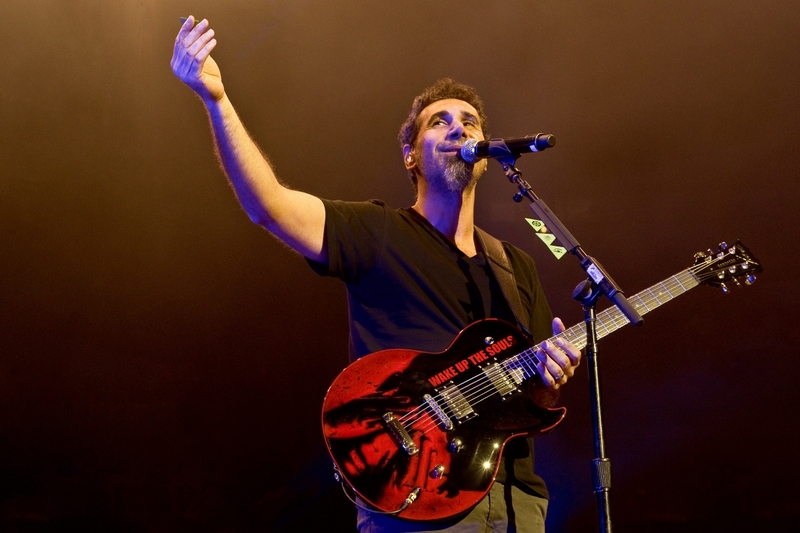 On August 12, 2011 Tankian was awarded the Armenian Prime Minister's Medal for his contribution to the recognition of the Armenian Genocide and the advancement of music. Serj makes his home in Los Angeles, California and Auckland, New Zealand, with his wife Angela and his baby boy, Rumi. As Tankian chronicles in Carla Garabedian’s 2007 documentary “Screamers,” his maternal grandfather Stepan Haytayan was a survivor of the Armenian Genocide from Efkere in Gesaria (present-day Kayseri in central Turkey). His grandfather lost most of his family in the massacre that took place in that town: “I've heard first-hand the stories of my grandparents’ survival and the horrific things that they've seen,” Tankian has stated. In “Screamers,” the scenes where Serj and his grandfather discuss what happened are heart wrenching. All across Anatolia, Armenian men were disarmed and shot, while the women and children, who were not kidnapped and raped or killed, were put on death marches. Stepan Haytayan ended up in an American orphanage in Greece and eventually made his way to Lebanon. Without the American missionaries who ran the orphanage, Tankian’s family would not have survived. Tankian’s maternal grandmother Varsenig also survived the massacres: a Turkish mayor put his life on the line and hid her and her family. Like some other officials in the Ottoman Empire, this righteous Turk refused to carry out the government’s orders to kill or deport Armenians. In some cases, the Ottoman government executed these saviors for defying authority. Tankian’s paternal grandparents Nazaret and Vartouhi survived the Genocide thanks to the fact that they both worked on the Berlin-Baghdad railway, being constructed by Turkey and its ally Germany in order for the latter to gain access to the Persian Gulf. Some Armenians were literally worked to death, but others managed to persevere despite being forced to perform excruciating manual labor. Tankian, who has written a song specifically about the Genocide aptly titled “Yes, It’s Genocide,” doesn’t believe that any nation or ethnicity is monolithic. He has directly addressed the Genocide during a number of SOAD’s and solo concerts, and notes that despite the Turkish government’s attempts to discredit him and his band, they still have many fans in Turkey.